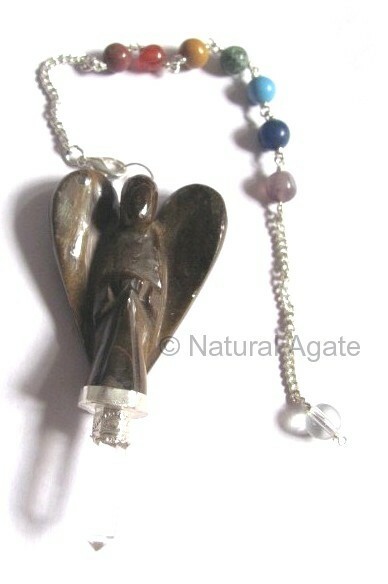 Tiger Angel Chakra Pendulum is a delicate piece and looks beautiful. You can use it for decoration. It will improve your will-power and confidence. It is available on Natural Agate.